Back Pain and Social Security Disability Back pain is one of the most common reasons people visit a doctor or miss work. 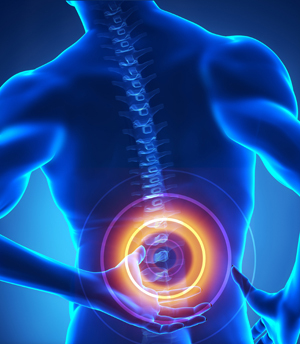 If you suffer from back pain, you may be eligible for Social Security benefits. According to the Mayo Clinic, back pain is one of the most common reasons people visit a doctor or miss work. If you are one of the 31 million Americans who suffer from back pain then you know how serious this medical problem can be. For most people with back troubles, the pain comes and goes but for others it's a constant, every day agonizing situation and it interferes with their work. If you are one of those people you know that even the most basic job functions like standing, walking, lifting and even sitting can bring on excruciating pain. To be awarded disability benefits you need to prove to Social Security that you are unable to perform any work even the most non-active desk-bound job. If you have chronic back pain and you are over 50 years old you need to know that Social Security will apply different rules to your case. But no matter what your age is, disability claims for back pain can be tricky, so it is a good idea to have your case evaluated by a disability professional. For more on back pain and Social Security disability we invite you watch the short informative back pain video on our website at cuddiganlaw.com/video or on our the Cuddigan Law YouTube channel where you will also find videos on how Social Security evaluates dozens of different impairments for disability benefits.